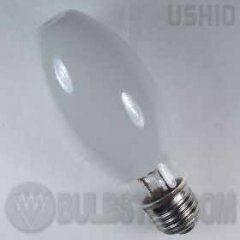 Ushio UMH Series Metal Halide Lamp with high efficacy, a long life, coated bulb, medium screw base and 65-75 color rendering index. 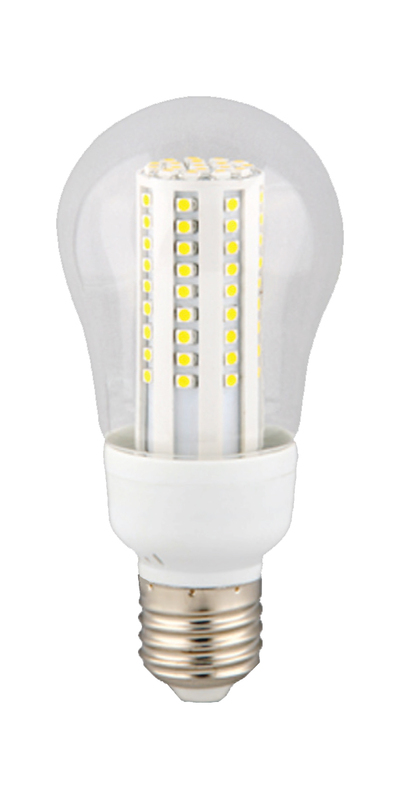 This bulb does have a universal burn position, however the average life is based on vertical operation. Horizontal operation will reduce the life expectancy by 25%.